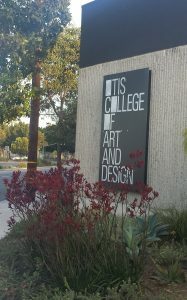 The second week of April this year found the FTTV team in sunny Los Angeles, at the Otis College of Art and Design. Western States Folklore Society was having its 77th Annual Meeting, and we had been working on our panel for months. 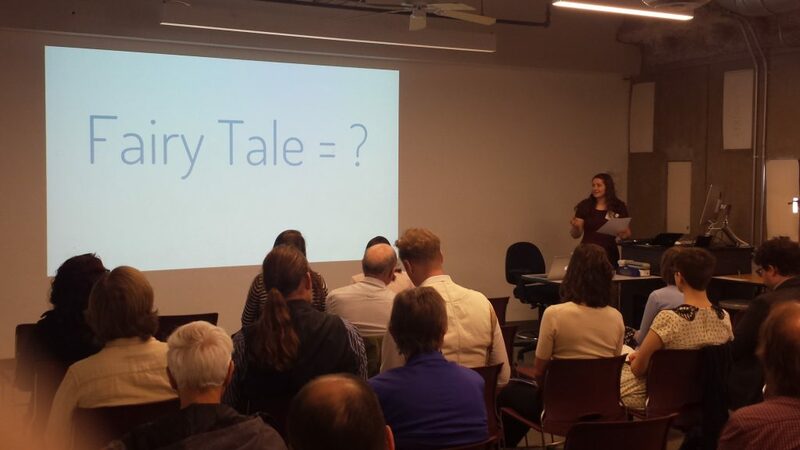 We applied as a complete panel, “Fantastic Realities of Fairy-Tale TV,” which gave us the opportunity to synthesize a panel that gave a diverse look at many different research approaches to studying fairy tale television. We had more attendees to our panel than expected, since there wasn’t another panel at the same time as us and we were the first panel on the first full day of the conference. Presenting in front of highly qualified folklorists can be intimidating, but the Q&A afterwards is always enlightening and adds new exiting layers to the research we’ve spent so much time polishing and forming. 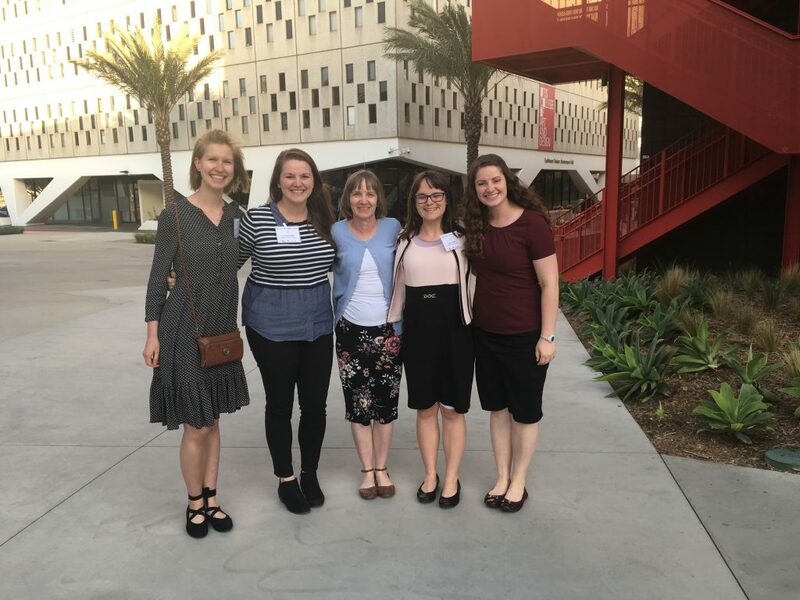 It was fun to get the input from folklorists who were unfamiliar with the digital humanities element, especially as a contrast to our experience at Digital Humanities Utah two months ago. Ariel asking the hard-hitting questions of our entire project. Our panel introduced our project as a whole and then we shared our research: Lauren on preschool television and edutainment, Erica on the fairy tale and media strategies that the British Royal family uses in connection with royal weddings, Cortlynd on the unexpected and lingering darkness of Revolting Rhymes, and Ariel with masculinity and monster transformations. The whole team at Otis College! Lauren, Cortlynd, Dr. Rudy, Erica, and Ariel. Though we unfortunately had to return home during the second day of the conference, the first day was full of panels on various elements of folklore, including Dr. Rudy’s presentation about folklorist’s career paths. We divided up for most panels and then chatted over lunch about what the others had missed, a foolproof strategy and the best reason to attend a conference with a close-knit team. The conclusion of the Archer Taylor Keynote Lecture entitled “Trauma and Art Making” by Daniel Wojcik, connected well with the environment of the folklore conference being hosted by an art college, which was quite a different experience than attending at UC Berkeley two years ago. The trip was a quick 2-day whirlwind, but we packed so much conference and learning into the short amount of time! 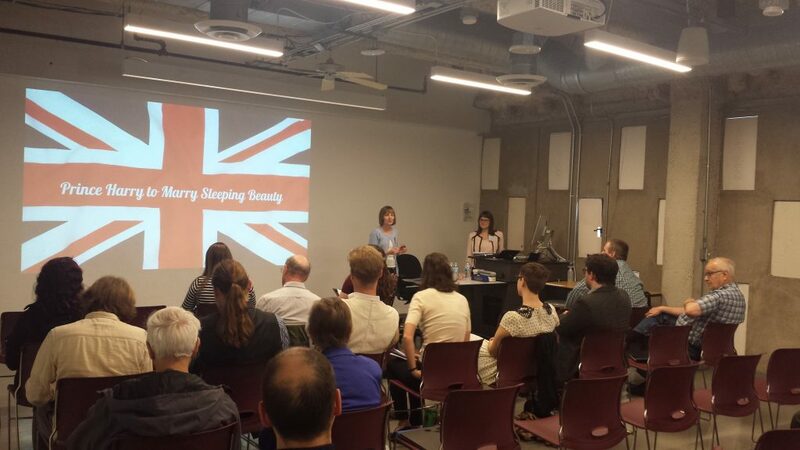 It’s always such a thrill to share our research, check out the blog in coming weeks for updates on our individual projects! This entry was posted in Contests and Events and tagged Ariel Peterson, Cortlynd Olsen, Erica Smith, Lauren Redding, preschool edutainment, Visualizing Wonder, Western States Folklore Society, WSFS 2018. Bookmark the permalink.